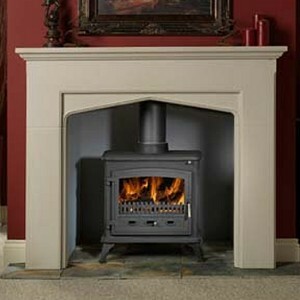 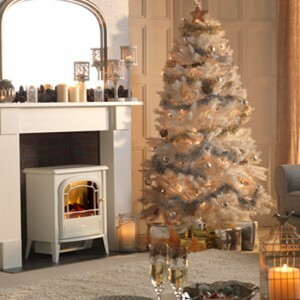 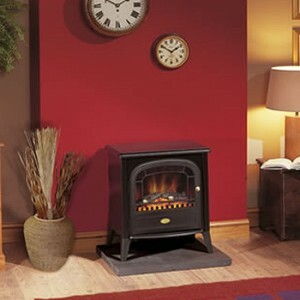 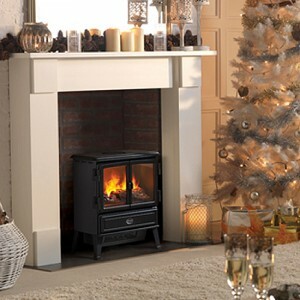 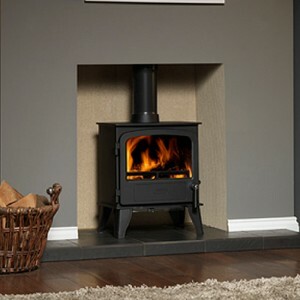 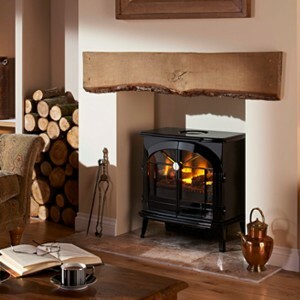 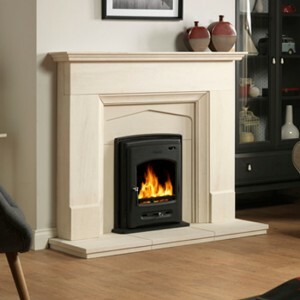 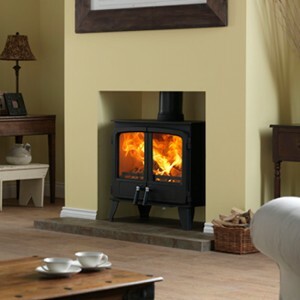 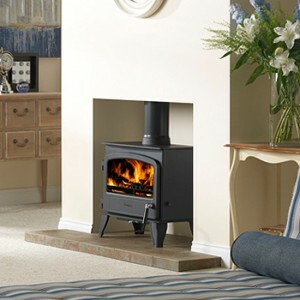 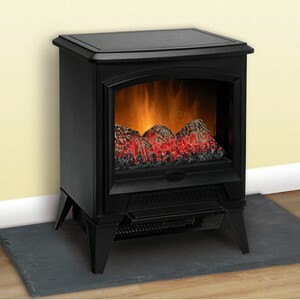 Home » Archive by category "Dimplex Stoves"
Multi-fuel inset stove suitable for burning wood and manufactured smokeless fuels. 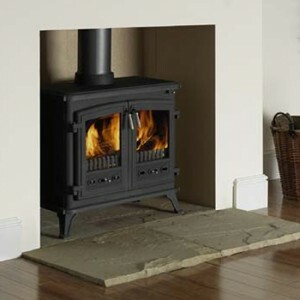 Defra-exempted to allow wood-burning in UK Smoke Control Areas. 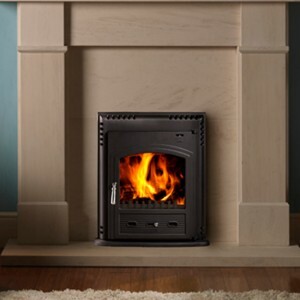 Designed to be used in a standard 16/18” fireplace opening. 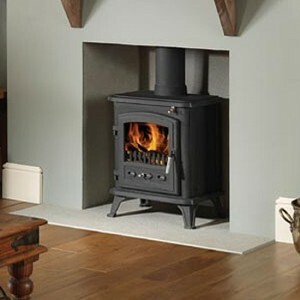 Can be installed without a flue-liner in a suitable, good condition chimney. 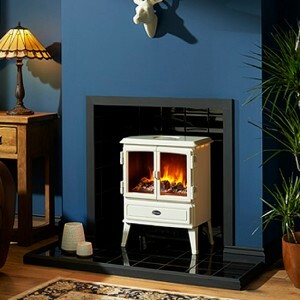 Traditional style stove with realistic Opti-myst® flame and smoke effect. 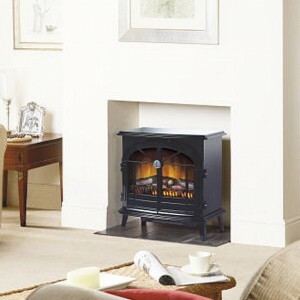 Fully variable flame and smoke intensity control. 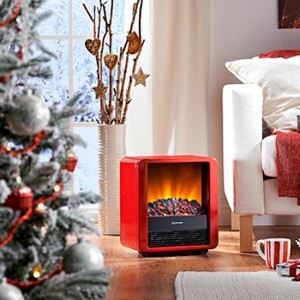 2kW fan heater with choice of two heat settings. 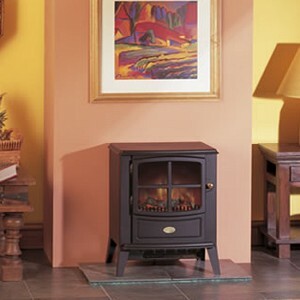 Thermostat Opening doors for added authenticity. 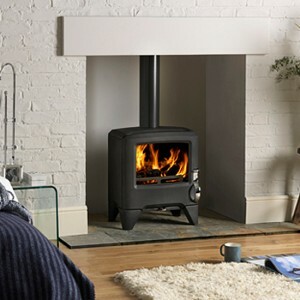 Medium-sized stove incorporating Opti-myst® – the world’s most realistic electric flame and smoke effect. 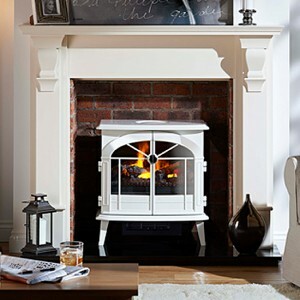 Creamy-white, gloss enamel-style finish. 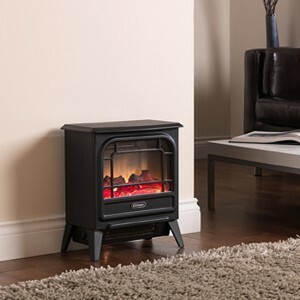 Fully variable flame and smoke intensity control 2kW fan heater with choice of two heat settings. 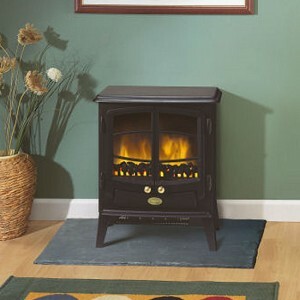 Thermostat. 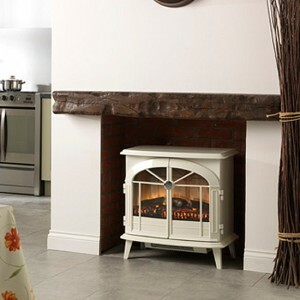 Opening doors for added authenticity. 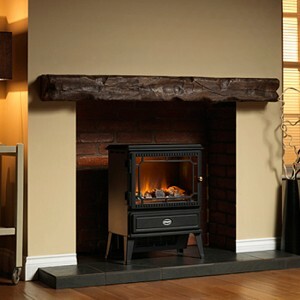 Remote control and Flame effect can be used independently of heat. 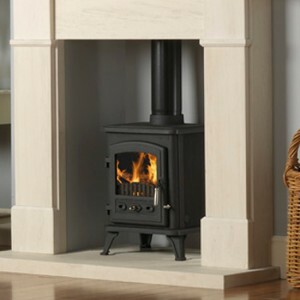 Cast-iron style stove incorporating Opti-myst® flame and smoke effect. 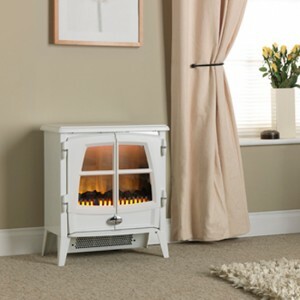 Comes in a Creamy-white gloss enamel-style finish and is has a fully variable flame and smoke intensity control. 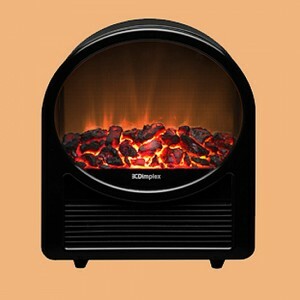 2kW fan heater with choice of two heat settings. 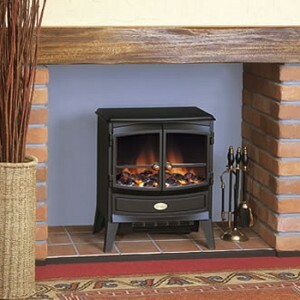 Thermostat and remote control as well as opening doors for added authenticity.